Counting Crows’ August And Everything After is one of the best albums of the ‘90s and don’t you dare @ us. Few songs that light up a rowdy barroom like “Mr. Jones,” while “Round Here” and “Anna Begins” remain timeless, romantically earnest portraits of post-college uncertainty. Now, Adam Duritz and company, who just toured in celebration of the band’s 25th anniversary last year, have, somewhat shockingly, returned with the unreleased title track from their auspicious debut. 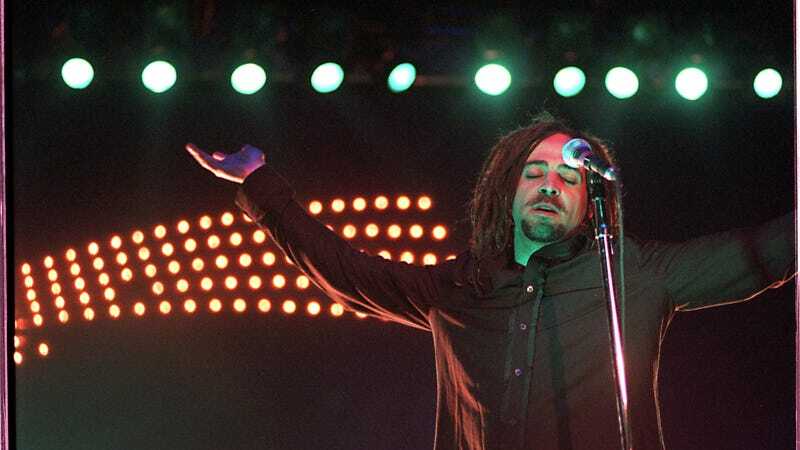 Duritz’s lyrics here are as candid and rambling as the ones that made so many Friends stars fall for him back in the ‘90s, but here they’re backed by polished, sighing strings that firmly plant the song in the here and now. Still, longtime fans will swoon over Maria’s return, as well as Duritz’s return to the location-specific references and cryptic religious allusions of his early work. As Pitchfork notes, some of those lyrics appear on the record’s album art. Listen to it below via the Amazon’s Original series.